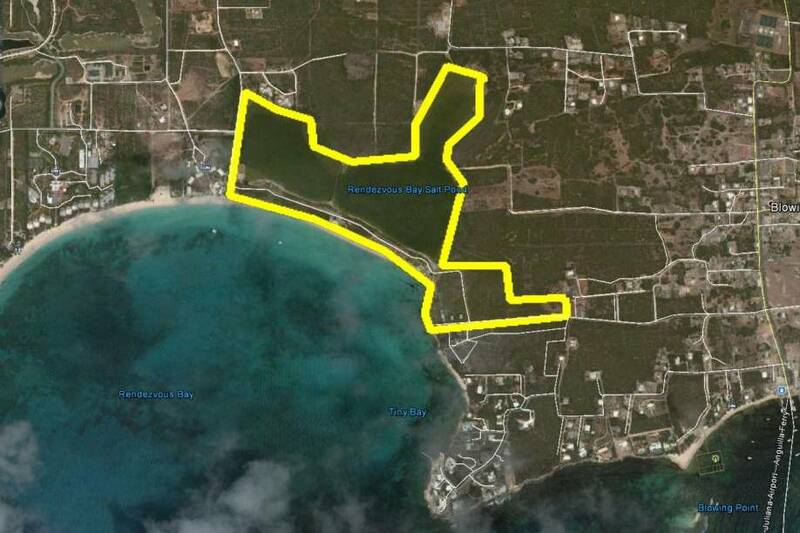 This piece of land for sale in Anguilla is an absolute treasure, not only hands down the best opportunity to develop a full-blown luxury hotel on the island but in fact one of the most exciting prospects in the entire region. 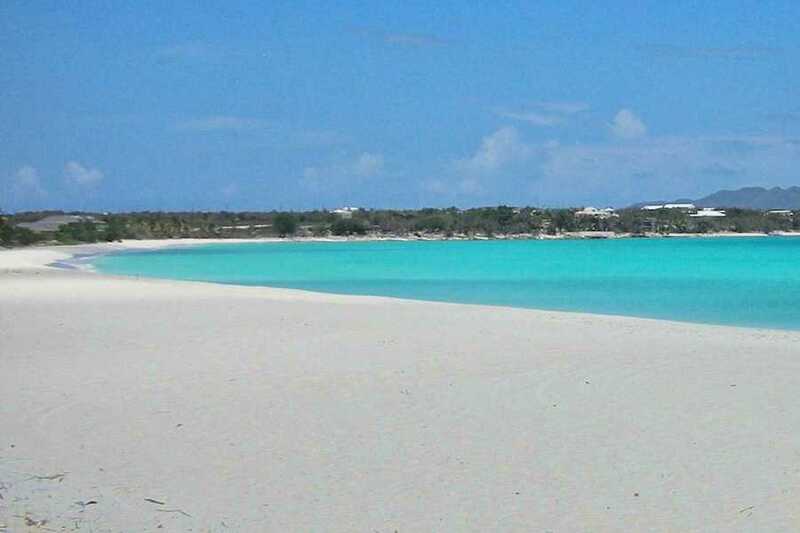 Totaling 40 acres of A+ premium land, including 11 acres of beachfront real estate on the flabbergasting Rendezvous Bay, this property is up to the standards of the most hyperbolic clichés: once in a lifetime, second to none, as good as it gets, and so on. 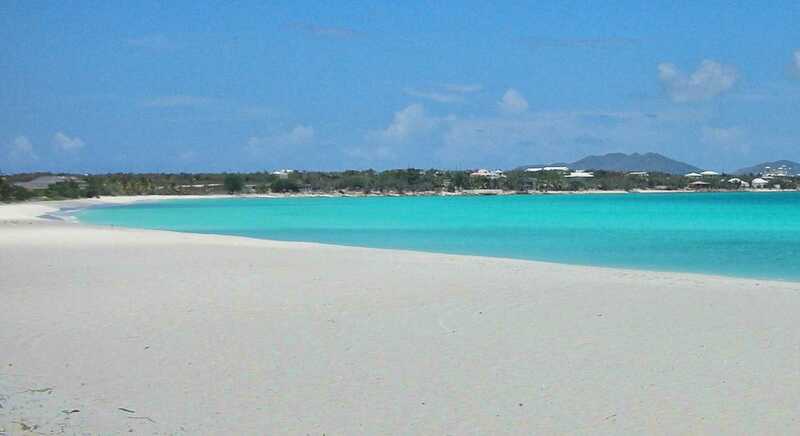 Sitting on the south coast, just a few minutes away from the Blowing Point ferry terminal, Rendezvous Bay is the quintessential beach: one and a quarter miles of the softest powdery white sand on earth slanting gently into the shallow turquoise waters of the warm Caribbean Sea. The property comprises roughly one half of the bay—the sheltered eastern end of it—and features a 14-room boutique hotel on the premises. 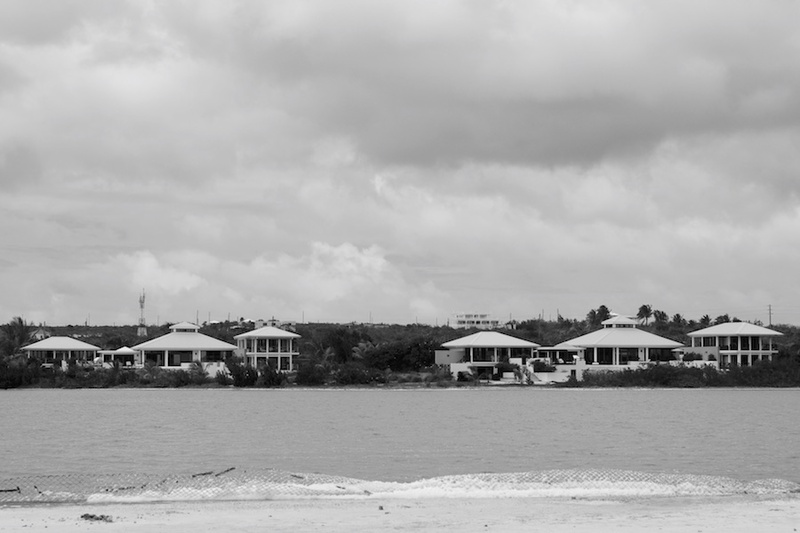 Government approval has been granted for a project of up to 400 rooms on this property, with the potential development of the 55-acre lagoon for commercial purposes (partially filling it, conditioning it for better access, converting it into a marina) also a possibility. 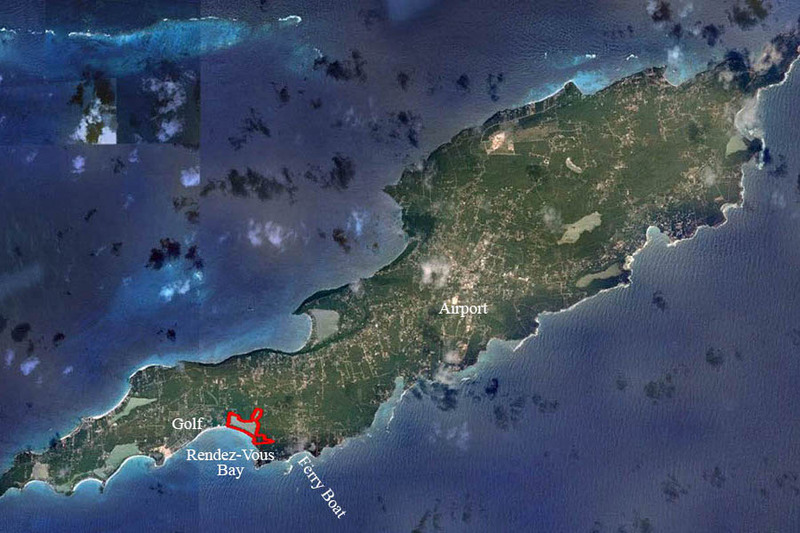 The seller is in control of the renewable 125-year leasehold of the 55-acre Rendezvous Bay Salt Pond, which carries a nominal yearly fee of US $1,500.